Mega yachts for charter, also known as super yacht charters whisk you away to the most breathtaking destinations and cosmopolitan ports of call. These Mega yachts floating resorts provide you an unparalleled level of service with world class amenities. Imagine, unpacking once to travel to amazing destinations and magnificent ports of call each day while enjoying all the comforts and amenities of a luxury villa or fine chateau. Your family and guests will sure appreciate this quality time you spend together. You can’t put a price tag on that. Indeed, luxury mega yacht charters offer you unparalleled service, more fun than you can imagine and the epitome of privacy. Whether you're looking to rendezvous in Monaco or the South of France, explore the Italian Riviera or innumerable breathtaking Mediterranean vistas, or you prefer the pink or white sand beaches and brilliant turquoise bays of the Caribbean or the Bahamas, there is a Mega yacht charter that’s just perfect for you - providing you and your family with special memories to last a lifetime. The majority of these magnificent luxury mega yachts for charter range in size from 125 feet to 260 feet+ and typically accommodate 10 to 12 guests in five or six luxurious guest suites. They are staffed with six to 16 professional crew whose primary objective during your mega yacht charter is to create the perfect environment for you, your family and guests to experience your hearts desire. 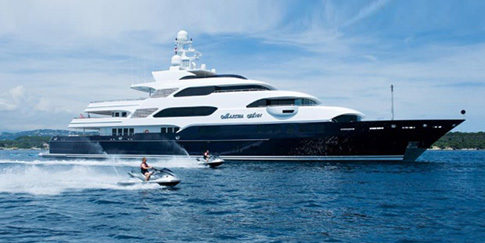 There are also a handful of exquisite mega yacht charters from 226 feet to 400 feet in length that are able to accommodate much larger groups of 28 to 112 guests in luxury and privacy. The style, decor and ambience varies from classic and traditional elegance to contemporary and even sleek and modern as does the overall design, cruising speed, and onboard amenities. With anywhere from three to five decks, the features and amenities aboard may include a sky deck master suite with 360’ views, on board elevator to make every deck accessible even for guests with mobility issues, an abundance of sunning and lounging areas, splash pool, jacuzzi, sauna, inside or outside cinema, onboard gym and spa services, wine cellar, game room, helipad, global communications, personal beach club complete with multiple tenders and water sports of every kind to be experienced on, in and under the water. Fishing of all types, scuba diving, floating islands and trampolines of the kids, and even water slides from the sky deck to the water - fun for the whole family! Time is your most valuable commodity, and when you finally do escape to enjoy the wonders of a luxury yacht, you want a mega yacht charter experience that will exceed your expectations. MGM Yachts will match you with just the right mega yacht charter and crew in the perfect destination and with the features and amenities that best suit your taste and budget. I’ll present you with the options in an efficient and thorough manner helping you make the best selection from the vast array of worldwide charter yachts available. 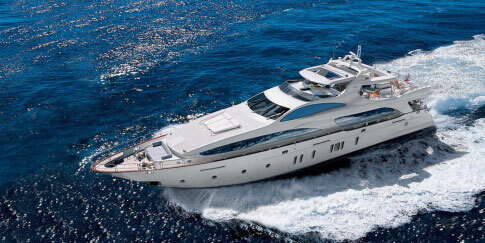 I offer exceptional yacht charter planning services. After you’ve selected the perfect luxury yacht for your custom mega yacht charter, we will work closely with the yacht crew in the planning and preparation for your custom charter considering your personal preferences and the experiences you’d like to have. 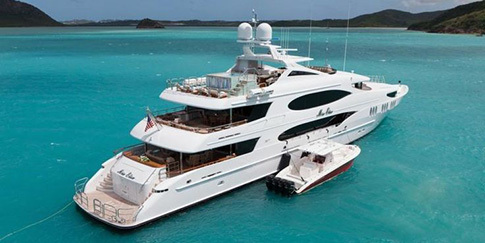 With over 25 years arranging custom luxury yacht charters, Melanie Burke has the knowledge and expertise to assure you that every detail from contracts to insurance, and provisioning to ports of call will be coordinated professionally and expediently. From the mega yacht selection process until your departure from the yacht at the end of your mega yacht charter vacation - we guarantee you an exceptional mega yacht charter experience. 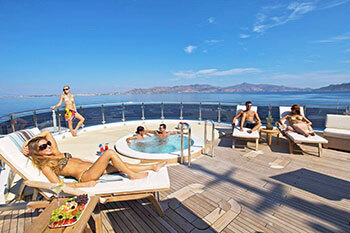 There is a perfect luxury mega yacht charter just for you, and your family's vacation. Peruse some of the featured mega yachts on our web site or use our Charter Yacht Search Tool to preview a selection of fine yachts available worldwide. Contact your personal yacht charter specialist today to get started. Call: (954)-593-6817 or Send Us An Instant Charter Request.